Further west I had previously had hope for the BNSF Chillicothe sub due to what were clearly 2000's re-signaled searchlit interlocking plants. However it appears that STRONGHURST was not among these (again note the above ground cable runs) and it was recently saw the Darths turned on. Going about as far west as is possible, the new signals on the Donner Pass route between SWITCH 9 and SHED 10 were cut in. Good thing I took an encore trip on the Zephyr back in June. See my trip report for information on other parts of the line. The small target searchlights are coming down at CP-287 near Syracuse on the Chicago Line. I assume this is part of a larger re-signaling project. The larger question will be what happens to the "new" Conrail signaled CP-290. 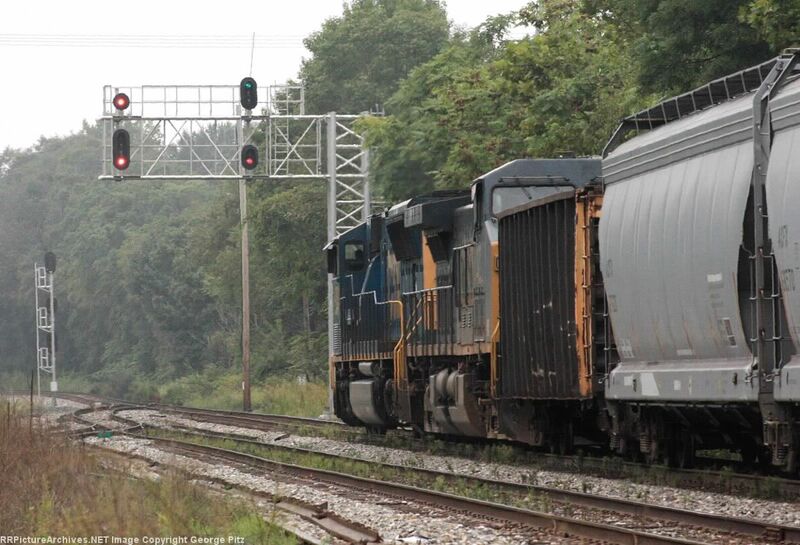 The new signals on the CSX Philly sub have been cut in through the Ankin siding. Moving over to Ohio the C&O signals on the Northern Sub in the Richmondale, OH area have also finally been removed. Saving the worst for last it appears that for some reason the Kansas City Terminal is replacing some of its searchlights in the Union Station area. I was hoping that KCT's independence would insulate it from the resignaling mania sweeping the nation. The real danger is replacement of SANTA FE JCT and its pneumatic point machines. In an update to a previous news item I noticed a photo of the famous 4-track "modern" PRR PL signal bridge at CP-ROCKVILLE. The bridge is now down to 3 PLs as one of the yard tracks was lengthened by installing a new Vader mast a few hundred feet to the west. How many Full Time Employees does it take to run a train against the flow of traffic on a section of double track manual block signaled track? Well the answer depends on which side of the Atlantic Ocean one finds themselves on. In North America the answer is between three and one. You can have a dispatcher transmit train orders to block operators on either end of the segment or simply use a radio to transmit the orders directly to the train. However in the United Kingdom the answer starts at 3 and increases from there. In mechanically signaled manual block territory you first need to employ signalmen at either end of the track segment. Then all wrong direction movements need a pilotman to chaperone all trains through the section of single track operation. Back in the day when stationmasters were still in existence both of them had to be informed so that is a total of five workers. Then because most block stations were only equipped with non-locked trailing point crossovers you needed another two men to spike and wedge the points prior to a train movement. Finally where main line spring worked catch points were employed you needed another person to spike and wedge those as well. The total number comes out to between 5 and 9 depending on the circumstances. Of course the one thing they don't have is a dispatcher. All authority is worked out between the signalmen and the pilotman. If this sounds confusing not to worry...British Rail put together an easy to understand training film on how single line working is to be carried out. Just about the only sensible thing they do us to use both block instruments for the single track...shame they couldn't dream up a procedure to eliminate the 5 or so extra people involved. If your eyes are spinning here is a bit of North American practice to take the edge off. Here is video from Viaduct Junction in Cumberland, MD with Amtrak T30 getting some train orders hooped up followed by the operator copying down some train orders. It's no secret that the PRR was never a huge fan of CTC thanks to their abundance of multi-track main lines and manned interlocking towers. So far we have seen an example of the PRR's use of CTC without traffic control, ie remote control interlockings, but a predominance of Rule 251 operation. 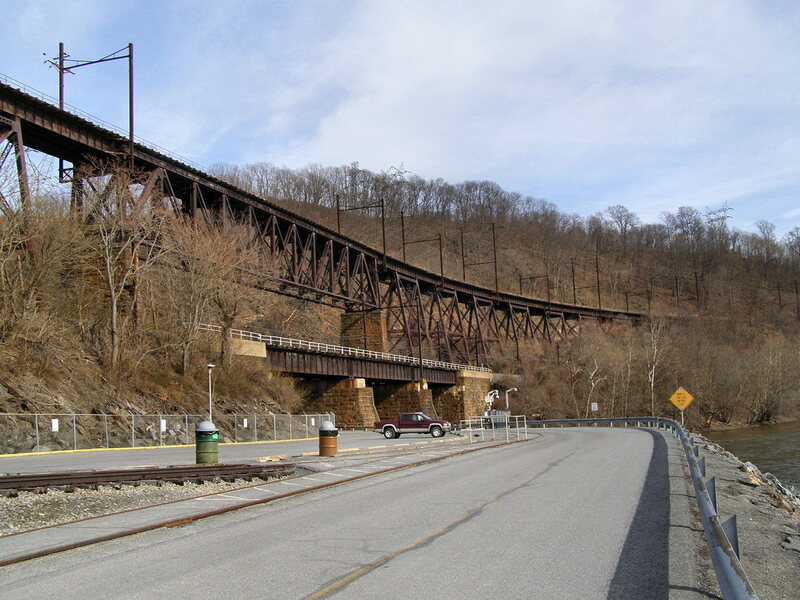 However due to its rather constrained geography that favored single track lines with passing sidings, the Susquehanna River valley also featured two genuine Rule 261 signaled CTC lines. 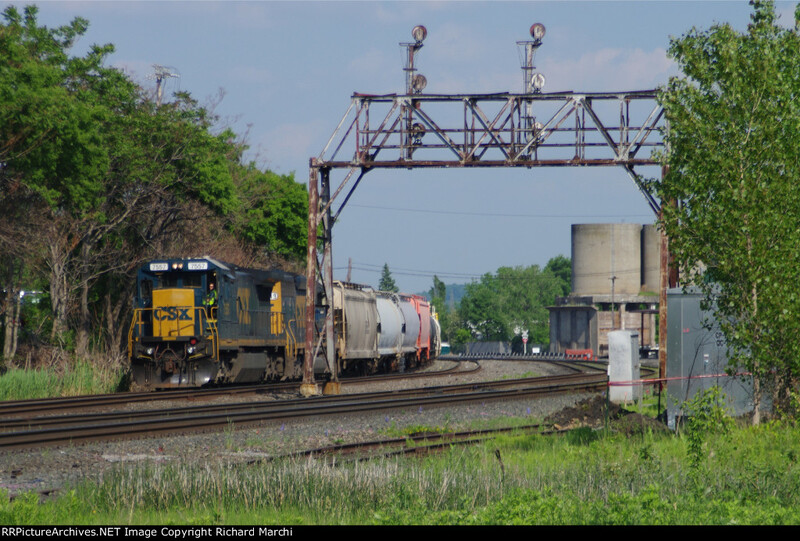 One of these is the Buffalo Line running north of Harrisburg and, of course, the other is the Port Road Branch running from PORT to PERRY. So while the remaining segments of our Port Road Trip may seem a bit less interesting than those that came before, it actually represents an opportunity to examine a method of operation common to the rest of the rail system that the PRR tended to avoid. So passing CRESS we finally leave the COLA CTC zone...or at least the Harrisburg Division CTC zone. Below CRESS the Port Road entered the Maryland Division and if you recall the COLA interlocking sheet there are 50 levers on the 150 lever CTC machine used by the Maryland Division. These 50 levers control the 9 interlockings south of CRESS and north of QUARRY. Today we will be looking at the intermediate signal south of CRESS, the HARBOR siding and a little bit of the Safe Harbor substation complex. Between CP-CRESS and CP-WEST HARBOR are the MP 35 automatic signals C357 and C356. Remember the mileage is now counting down towards Perryville instead of Parkesburg. Here we see the two signals looking westward with the Fisherman's Run flume (aka shoefly) far in the background. At this point the A&S is running parallel to the Port Road about 20 or 30 feet up the rocky slope. The signals are arranged in the typical fashion for a single pole catenary structure with one PL being mounted on the catenary mast and the other on its own mast. The C357 signal is displaying an Approach indication for the stop signal at CP-CRESS. Although CRESS features a medium speed turnout, because it is the entrance to double track ABS territory there is only a straight and a restricted speed route available and therefore C357 does not need to display Approach Medium. Here in this rather backlit reverse view we see the C356 mast signal. The layout of this intermediate is a bit counter intuitive because the signal that is unable to display Approach Medium is the distant for an interlocking with only restricted speed routes while the signal that can't display Approach Medium faces an interlocking that could have a Medium speed route if not for the Rule 251. Note the lack of pole line power tap. Here the 6000 volt, 100hz power supply was running up on the A&S alignment and feeding both it and the Port Road. 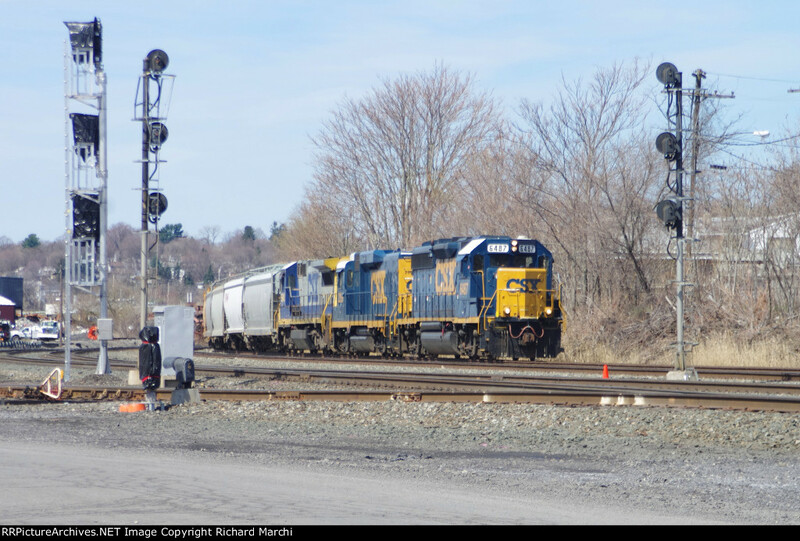 The reason for the lower head | on C356 is not because the Harbor siding was ever downgraded in the Conrail era, but instead because of the short (5000 foot) distance between CP-HARBOR and CP-WEST HARBOR. 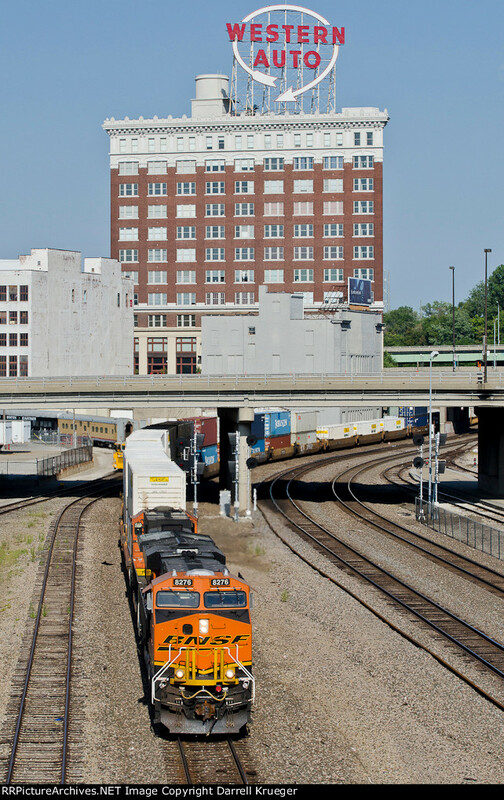 Trains diverging at CP-WEST HARBOR would get an Approach. Trains stopping at CP-HARBOR (perhaps for a meet) would get an Approach Medium. 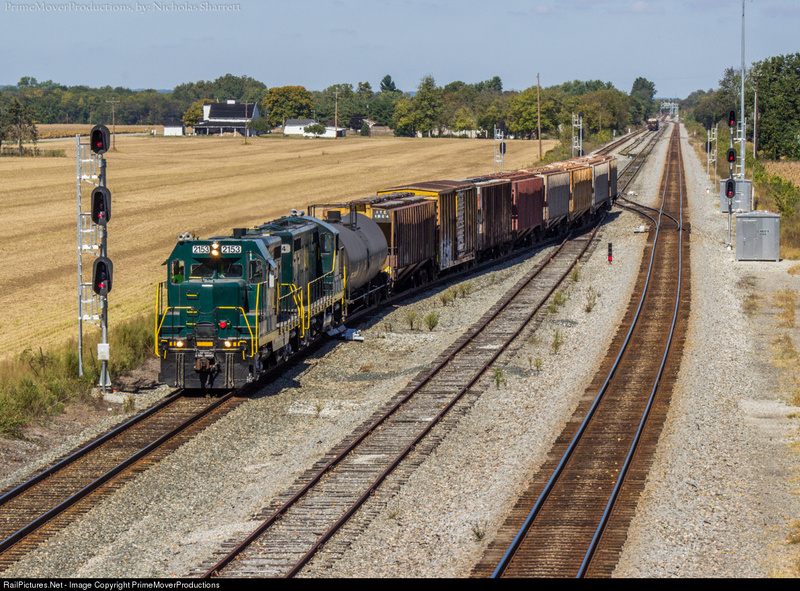 This rather long shot of C357 shows the signal displaying Approach in the time before the dispatcher lined a route at CP-CRESS for an eastbound NS freight train. Around 2010 all the catenary poles were chopped down by NS. After the re-signaling project a new bi-directional mast was installed with Darth Vader signals. The odd layout has been replaced by Approach Medium signals in both directions. 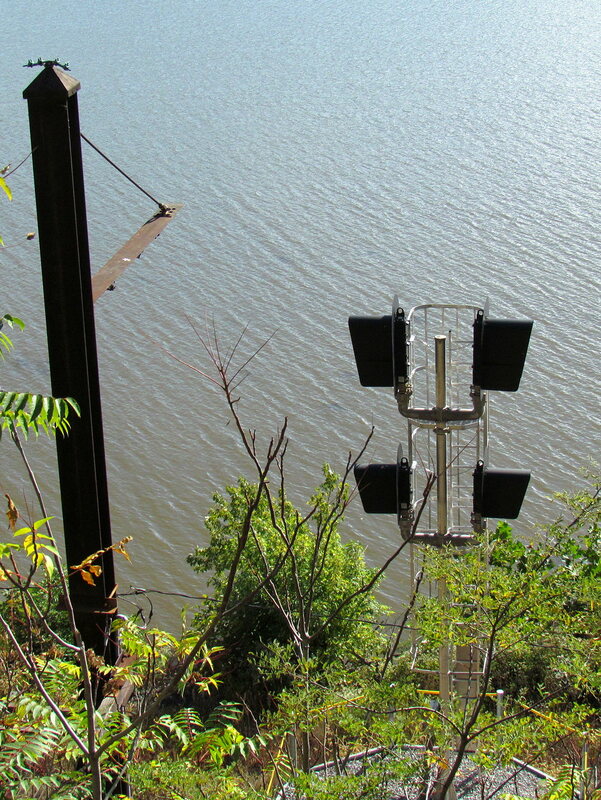 Not sure I agree with the placement of the signal and the relay box on the lake side of the tracks. This part of the river is a well known flood risk. CP-WEST HARBOR, at MP 33.2, is the west end of a 5000 foot long restricted speed ending. 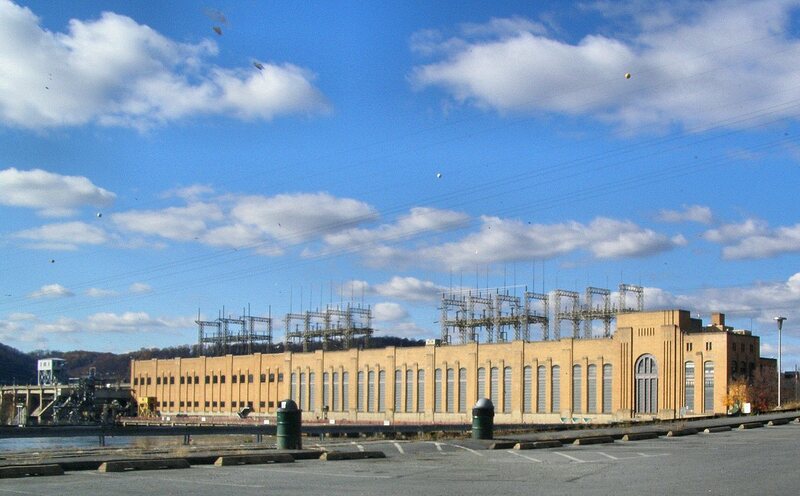 It was located in the shadow of the impressive Safe Harbor viaduct and adjacent to the Safe Harbor Dam. The single \ on the lower head is all you get in this situation. 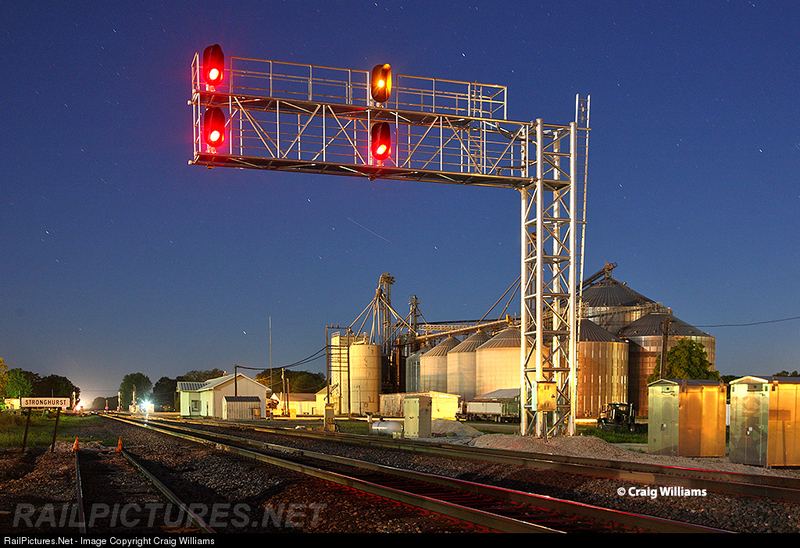 If the siding were signaled this signal would also come with a lower head \ for Slow Approach. So here is a little video example of how signaling works on a North American line with both Automatic Block and Track Warrant control. Out west this is simply called TWC / ABS although in some parts of the east it is known as Rule 271. Basically this is where block signals keep trains from colliding, but track warrants keep them from conflicting. Previously trains would rely on the timetable and train order system to sort out who had priority on a single track main line, but since the advent of radio the dispatcher can just tell trains what he would like them to do directly. Number plate? Check. Hand throw switch? Check. Semaphore? Optional. This line is the coastal route between San Francisco and Los Angeles comprising parts of the Coast and Santa Barbars subdivisions. Because of the lack of through freight traffic the line has seen minimal investment from Union Pacific. 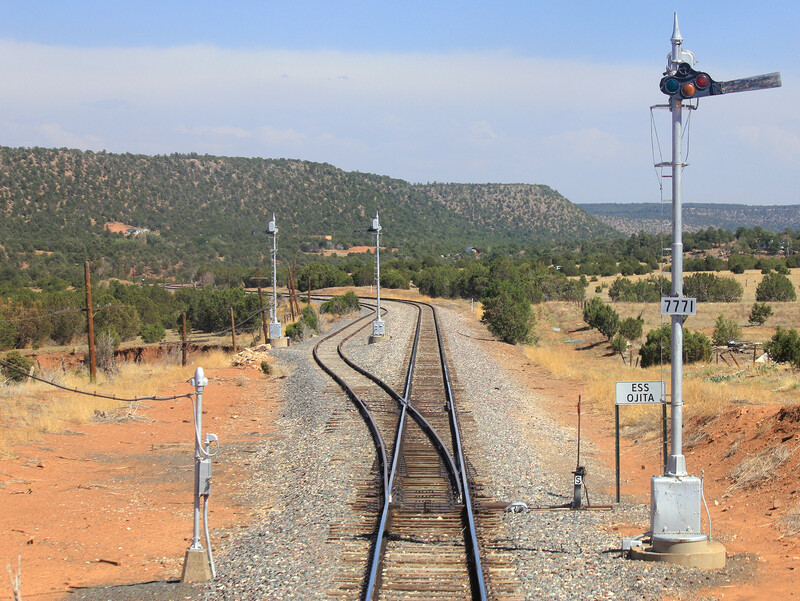 When recently the old pole line and searchlight signals were removed, UP declined to pony up for a CTC upgrade with its attendant interlockings and traffic control. So while the signals are the typical type of LED Darth Vader with PTC antennas, crews must still copy down train orders and get out to hand throw switches for meets. In this case upon leaving San Luis Obispo our train was issued a Track Warrant to a point called DEVON (which the crew insists on pronouncing incorrectly in the video). Later we got another Track Warrant to proceed from DEVON to Santa Barbara, however the later would not enter into effect until we met a northbound UP freight train at DEVON and he took the siding (GCOR rulebook Box 5). The meeting point was well chosen as we arrived just as the opposing train was passing the automatic signal directly to the south which was indicating Approach. Our train's conductor climbed down to the right of way and lined the hand throw switch for the freight train to save a little time, then returned it to the normal position so that we could proceed. The fact that the freight train had more engines than cars indicates one of the reasons there has not been much investment in the line. Here's the thing. While this is still all quaint and manual and worth filming as a quasi-historic railroad operating practice...without the pole line an searchlights this is basically just delaying my train with little value added. If you want to travel this line and check out the new old signaling there is a daily Coast Starlight round trip covering the TWC/ABS segments on both subdivisions as well as a Pacific Surfliner day trip option from Los Angeles to San Luis Obispo.